Sign-up for our "Meet & Greet" event on the 7th of February, where you will get the chance to meet our current graduates and mingle with a variety of consultants. A perfect chance for getting to know us more at our Swedish head office in Kista, Stockholm. The number of participants is limited so sign up here to secure your invitation. Understanding the client’s requirements and analysing the business context; for instance, to optimize core business processes in supply chain. Designing and developing business solutions as a functional consultant within your area of expertise to create value for our clients. Advising clients on best practice or recommended strategy; for instance, how to best organize for multi-channel marketing. As a project manager delivering solutions; either in small teams or supporting large international programs. We are looking for you, soon-to-be graduate student or young professional, seeking to join one of the biggest IT-companies in the world and kick-start your career. You have a hunger to solve challenging problems and want to be a part of shaping a smarter future for the world. You are ambitious and forward-thinking, you have imagination and drive. You can develop big ideas and turn them into tangible solutions for our clients. We are IBM GBS, Global Business Services, IBM’s consulting practice. In Sweden, we are the trusted partner of many of the largest companies as well as public authorities and agencies, advising and implementing state-of-the-art transformations of their business. In close cooperation with our clients, we design and implement the next generation business models, customer experiences, big data management and digital platforms that help our clients get to the next level. Technology is at the core of everything we do, it's our heart and soul. For the right candidate, IBM offers you a position in our 2-year GBS graduate leadership and development program. In this program, you enjoy real responsibility from day one, will take on new challenges every day, work with the brightest minds in the IBM organization at home and abroad and help us shape the market by transforming industries and professions with data and technology. The digital transformation is at the top of the agenda in the largest organizations where you as a consultant will be advising, designing and implementing innovative solutions for the future. At the end of the program, you will be a full-fledged Senior Consultant in IBM. IBM can offer you several career paths based on your interest and aptitude. Please prioritize your preferred career paths with 1 and 2 and describe in your personal letter why you have made these choices. As a System Science Consultant, you become the connection between system and human. This track allows you to build skills in ERP-systems for areas such as Asset Management, Human Capital Management, Supply Chain Management and others, helping our customers transform and optimize their daily operations. You will build a detailed knowledge of how a software delivers business value and you will be highly involved in large implementation and transformation programs. As a Data Scientist, you will work with data, both structured and unstructured, as well as analytics to advice our customers on how to best use data to increase business value. Your key skills are critical thinking and accuracy, working with research and analysis in different cognitive tools such as Python & R. In this role you will not only perform advanced analytics and visualization of data insights, you can also work with programming and machine learning modelling. In the track to become a Project Manager, you will take responsibility and lead IT-projects to deliver solutions for our customers. This includes managing scope, cost, schedule and contractual deliverables and applying different techniques for planning, tracking and managing risks. By going through the whole project lifecycle, you will learn how to coordinate, administrate and follow-up actions as well as develop important communication skills. Communication and Change Management are key components of a successful project and will also be key areas to master in this role. As a Business Consultant, you will help our clients take their business to the next digital level by assessing their current state, visioning a future state and develop a roadmap to help the clients reach the targeted state. The variety of projects may vary from shorter strategy consulting assignments to advising clients on recommended high-level strategy. You may be involved through all or any part of a project lifecycle. As a Front-end Developer, you will work with UI Development technologies such as HTML, CSS, Sas and JSON to create, build and improve our clients’ interfaces. You will develop knowledge in understanding requirements, design, code and also in testing of high-quality web and mobile apps. This is a perfect track for you if you are a problem-solver who thrive on collaboration in order to find solutions to complex, technical issues. In this role, you will get the opportunity to work with a variety of relational databases (SQL, Postgres, DB2, MongoDB), operating systems (Linux, Windows, iOS, Android), and modern UI frameworks (Backbone.js, AngularJS, React, Ember.js, Bootstrap, Node.js, and JQuery). Apply now with your personal letter and your CV. Please prioritize your preferred career paths with 1 and 2 and describe in your personal letter why you have made these choices. We are recruiting to our locations in Stockholm and Gothenburg. Please mention your preferred choice of location in your personal letter. The world of consulting is varied: the path you as a graduate take, and the velocity of your career progression, will largely be in your own hands within the framework of one of the largest and most varied consulting companies: IBM. 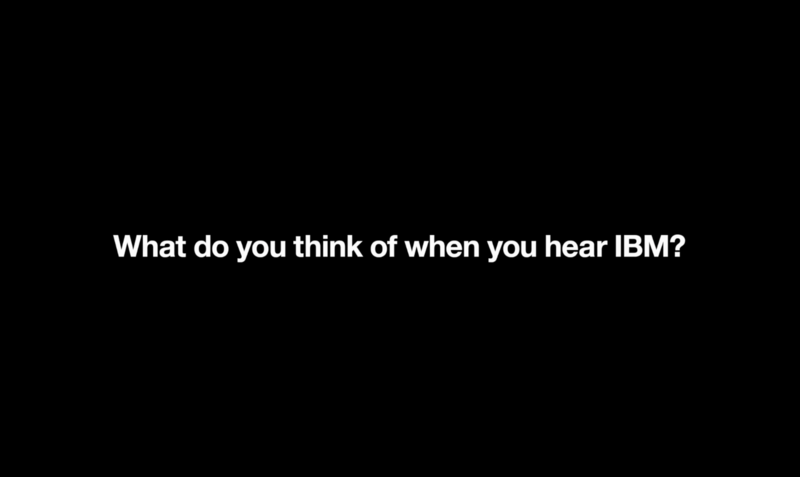 Learn more about our company by visiting us at www.ibm.com.